The pumps of type series COK (without cutting tool) are suitable for pure slurry without any remains of forage or bedding as well as for pumping various waste water or sewage. The type series COKR (with cutting device) can be used for conveyance of cattle slurry containing food or bedding residues up to 12 % of dry matter. In the receiving pit for filling silo wagons and tank trucks. 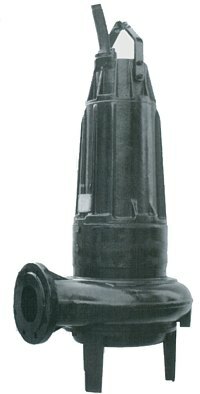 When being installed in manure pits or sumps the pumps can be used for flushing and slalom systems. As a dry-installed pump, it can be connected directly to the manure removal pipe (vacuum system) with no need of a receiving cesspit, thus providing a cost-effective solution. By using a work or transport trolley the pump is ready for mobile operation. Applying a switching device with timer allows automatic operation by utilization of cheaper off-peak electricity. The two-level shaft sealing produced by Burgmann and a solid design guarantee a long product life. Changing of oil is necessary only every two years. Oil change necessary only every two years.